3 mason jar Valentine ideas you can make! Grab my free printable tags below and put together these gifts in minutes. There are a few things I truly love in life, you know other than my family and friends. I love glass jars, like really love glass jars. I use them for all kinds of crafts. We drink out of them, use them for parfaits and snacks, and I adore how they look holding little office supplies like paper clips and beads. I’m also a fan of glass jars because you can reuse them again and again, so when I give a mason jar gift I know that person will be able to reuse the jar in their own home. Even better when the jar was originally a sauce jar that I spruced up for a gift. So yes, I love glass jars which is why I’m sharing today’s post. It’s part of a monthly mason jar challenge where fellow jar lovers and I share mason jar projects to inspire you. This month our theme is Valentine’s Day! 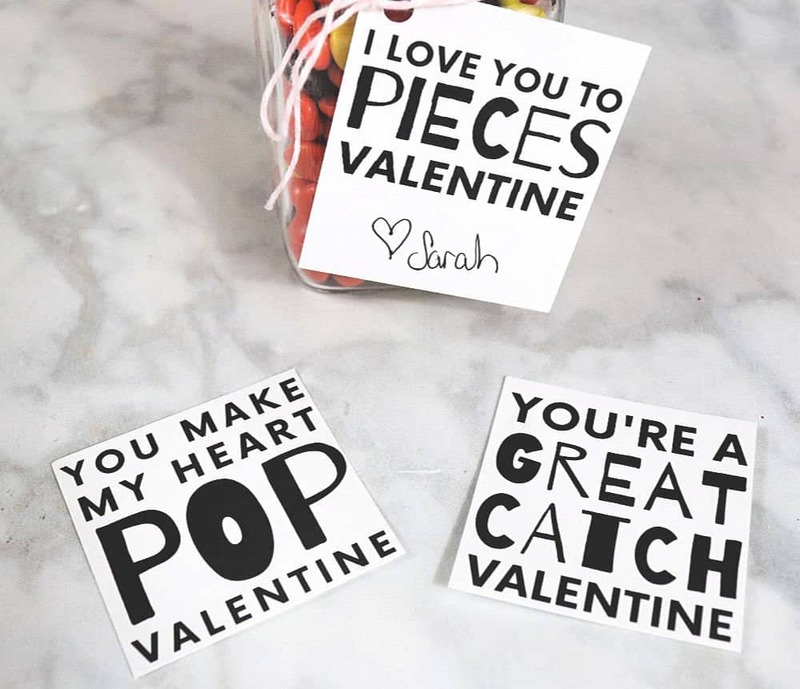 I have 3 simple mason jar Valentine ideas for you complete with punny printable tags. 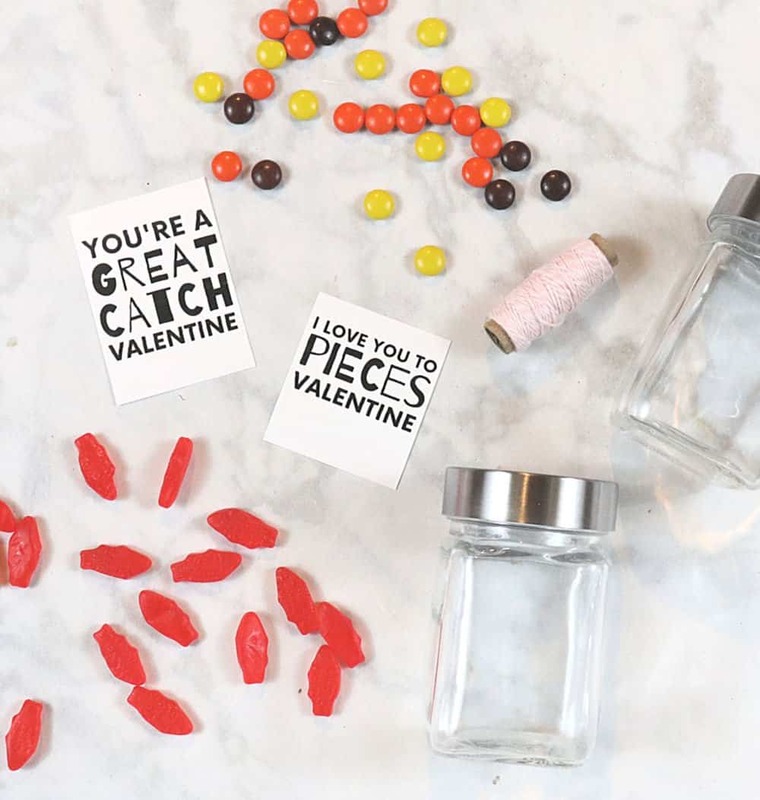 All you need are a few small glass jars, candy, and these printables. I like this size of glass jar, it is 10 ounces and works great for a Valentine gift or to store small supplies in your craft room. 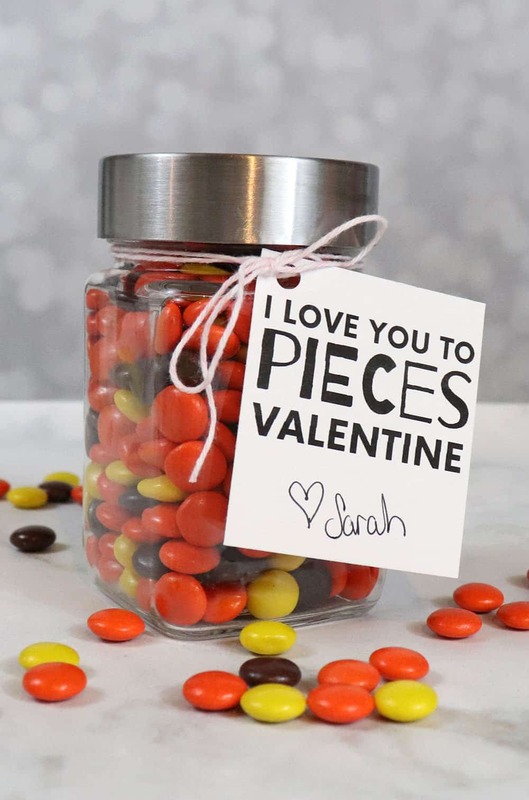 When you give a gift in a jar like this your Valentine will definitely find a way to reuse it. Everyone loves a good pun, right? And food puns are perfect for Valentine’s Day. I have 3 printable tags you can download and attach to a jar to make a mason jar Valentine. Subscribe to Creative Ramblings for access to these printable Valentine’s and over 50 other printable designs, templates and cut files. 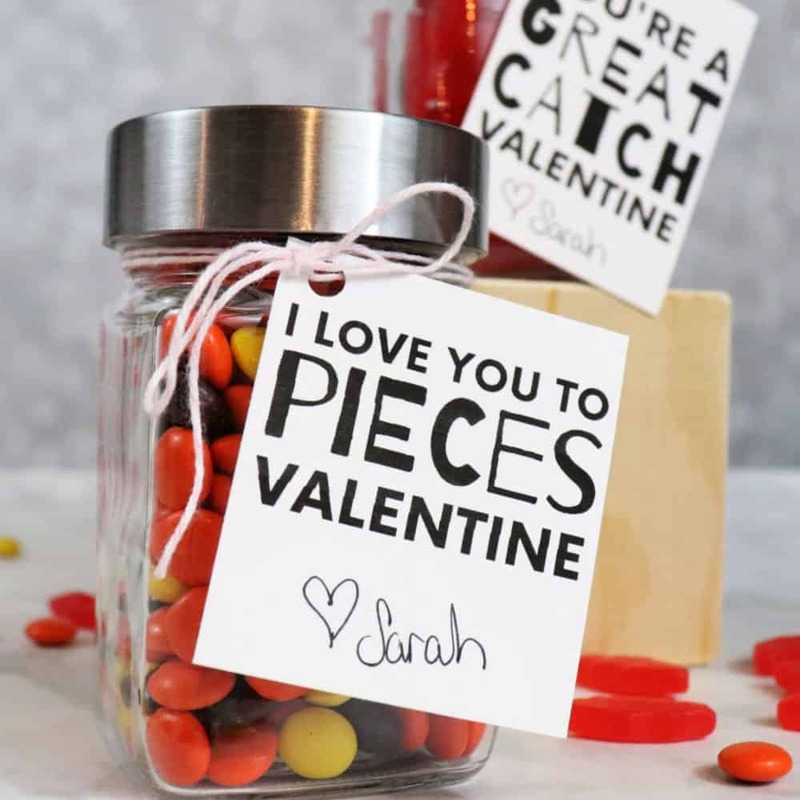 To assemble these mason jar Valentines, I filled each jar with a treat to match the card. Reese’s Pieces, Swedish Fish and popcorn. Then I used pretty bakers twine to attach the printed tags to each jar. 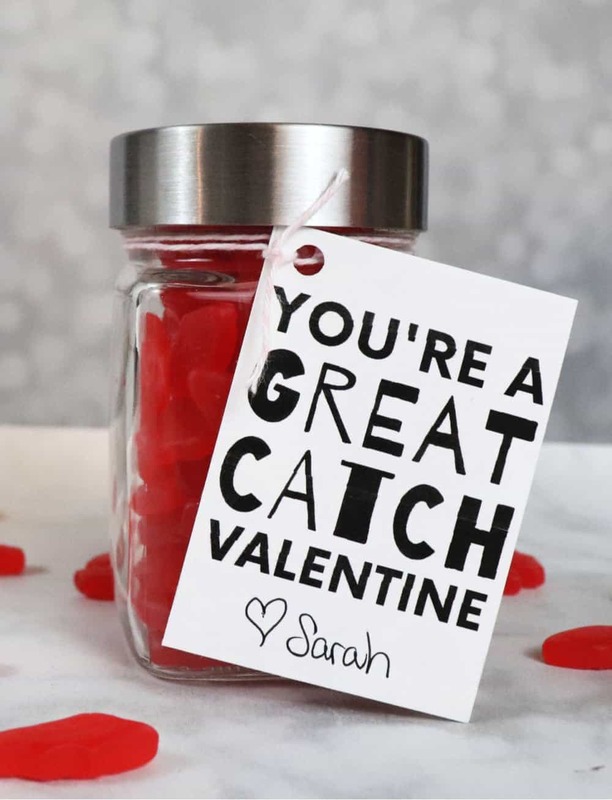 A mason jar Valentine like this is inexpensive, just a few dollars to put together, but it’s a wonderful way to show a friend you care. Leave one of these jars on your co-workers desk, or your child’s nightstand. The thought goes a long way toward making someone smile this Valentine’s Day. Subscribe to Creative Ramblings for access to these printable Valentine’s Day tags. 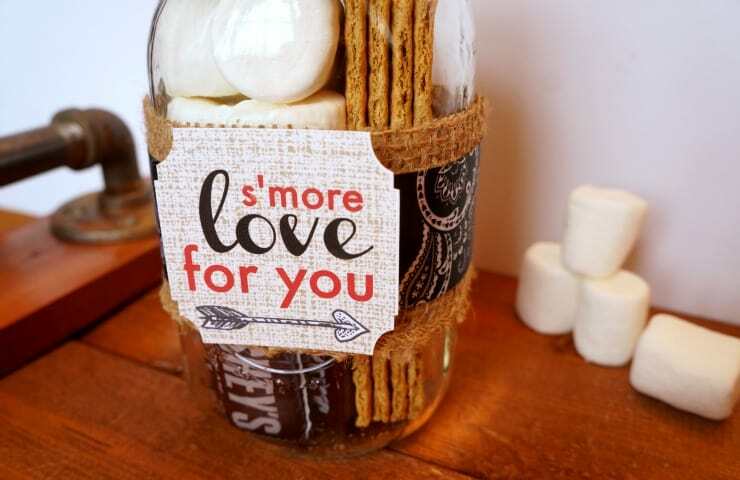 Take a look at these other Valentine themed mason jar projects. I love them both Sarah, but I think the Swedish Fish is my favorite!! Such a fun idea! I love these. I seriously think the font is so fun and that it’s not just red and pink! These are so cute! Thank you so much for the printables! My niece loves reese’s pieces so I am totally giving her one of these!